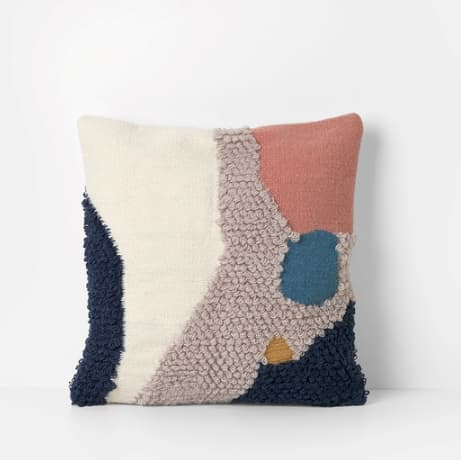 Ferm Living Pink Cream Loop Landscape Cushion. We are challenging the classics of geometry and exploring new shapes. This process is mirrored onto a new line of textiles, cushions and accessories centred in engaging forms.